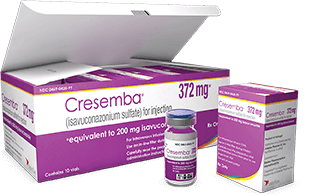 CRESEMBA is available as an injection for intravenous (IV) administration and as capsules for oral (PO) administration. Contact your wholesaler for CRESEMBA price information and ordering details. Review information on dosing and administering both CRESEMBA IV and PO formulations. 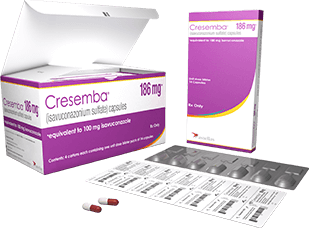 Download and print important dosing and storage information for your patients taking CRESEMBA capsules. Request an Astellas representative to contact you with additional information on CRESEMBA. Get information on access, reimbursement, and patient assistance for CRESEMBA. Watch a video tutorial on dosing, preparing, and administering CRESEMBA IV and PO formulations.